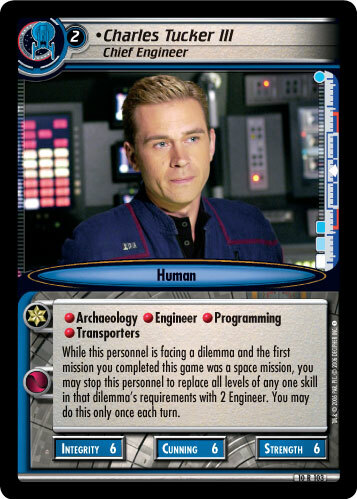 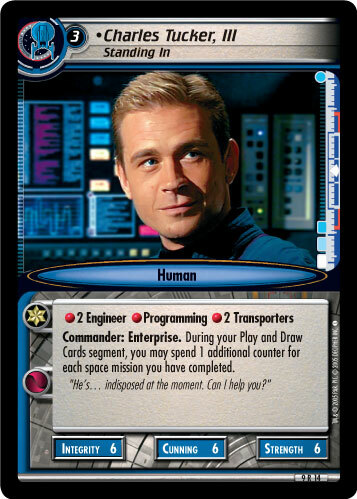 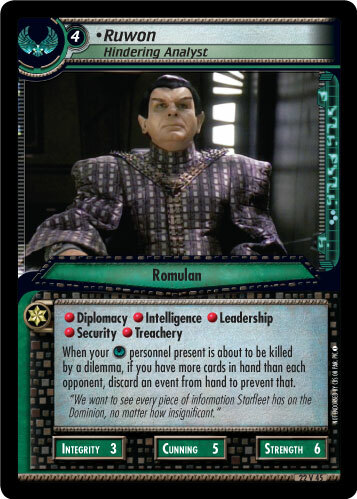 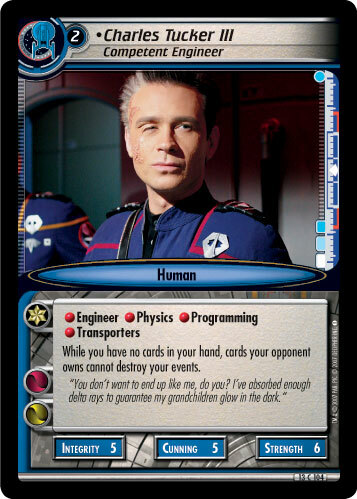 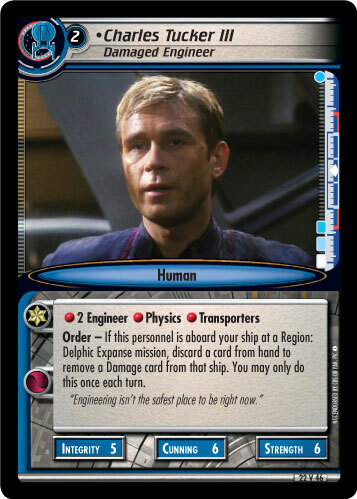 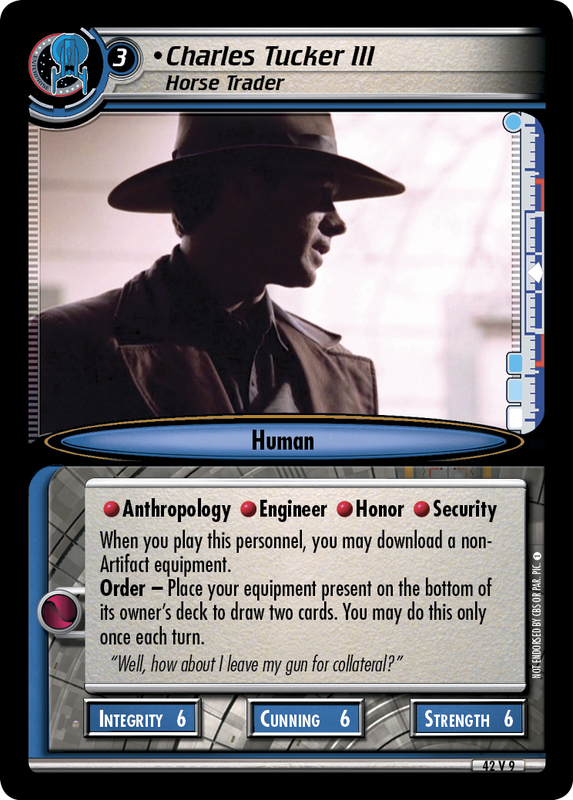 Order - If this personnel is aboard your ship at a Region: Delphic Expanse mission, discard a card from hand to remove a Damage card from that ship. 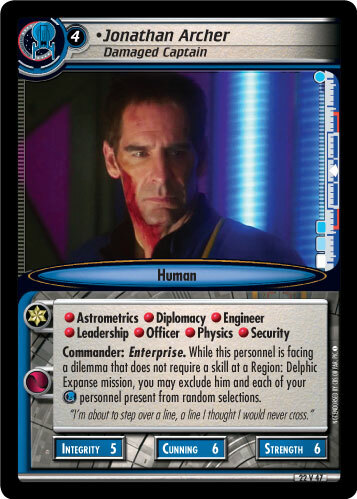 You may only do this once each turn. 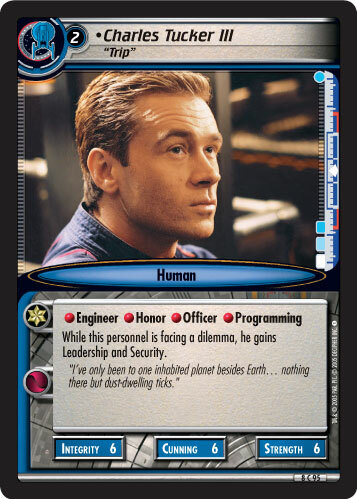 "Engineering isn't the safest place to be right now."